Penol Nr. 5 lapis blue ring top. Penol de Luxe CO lapis blue with original label. Penol 8K and 210K burgundy marbled doric set. Penol Ambassador Senior, Special, Junior in platinum-lined. Penol de Luxe CO green. 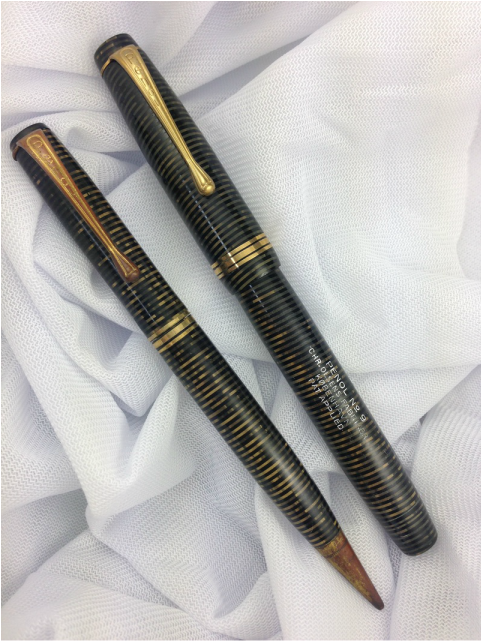 Penol deLuxe CO in gold-black striped. Penol solid 14K gold Ambassador set. 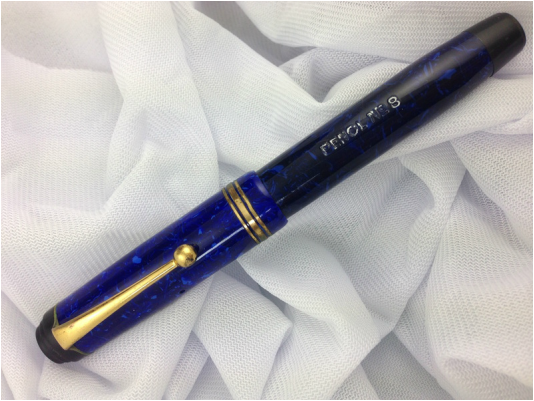 Penol Master 11 in lapis blue. 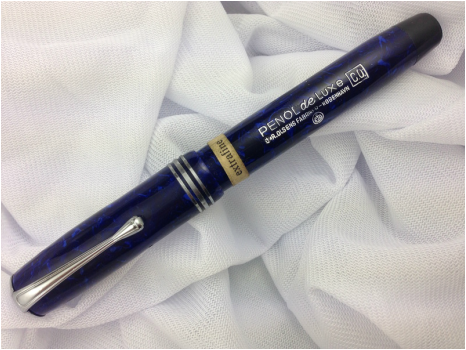 Penol Q-twins pen. Two ballpoint pens in one (red and blue). Penol No. 9 brown set. Penol de Luxe CO Collection. Penol de Luxe Line, O, AO, BO, CO in coral red. Penol Aëro-filler mechanism disassembled on a Penol de Luxe CO burgundy pen. The clear attachment to the section allowed visualization of the ink level through the transparent part of the barrel near the threads. Penol No. 6 pearl and black button filler. Penol No. 8 lapis blue. Penol deLuxe CO set with 3D pencil in original cork box. 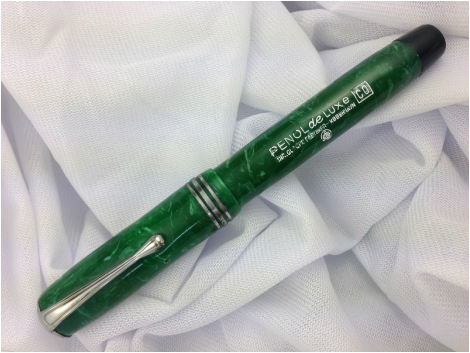 Penol Ambassador Special set in green paintbrush pattern in original coffin box. Penol No. 8 burgundy marbled. Penol No. 4 red snakeskin set in original holder. Penol Ambassador No. 5 in burgundy marbled in original box. Penol in red zebra pattern.